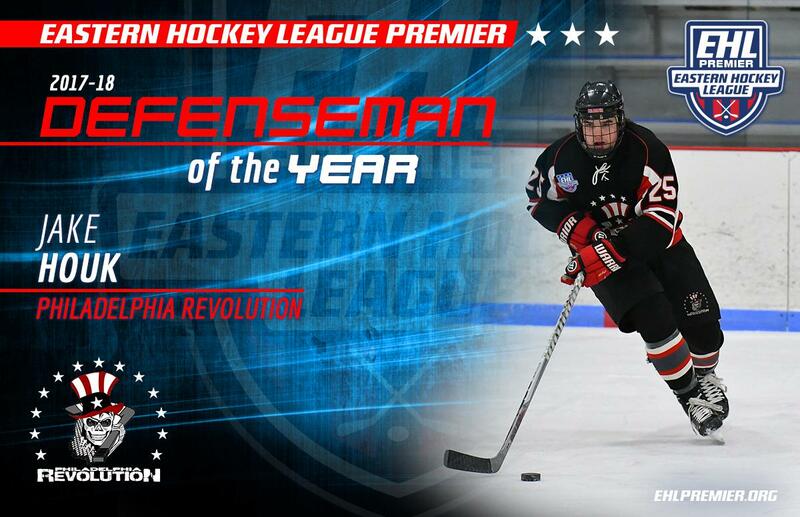 BOSTON, MA -- The Eastern Hockey League Premier (EHLP) is pleased to announce that Jake Houk of the Philadelphia Revolution has been named the 2018 Defenseman of the Year (DOY). The native of Richboro, PA is in his fourth full season with the Revolution organization, and this year he racked up an even 40 points in 40 regular season games. 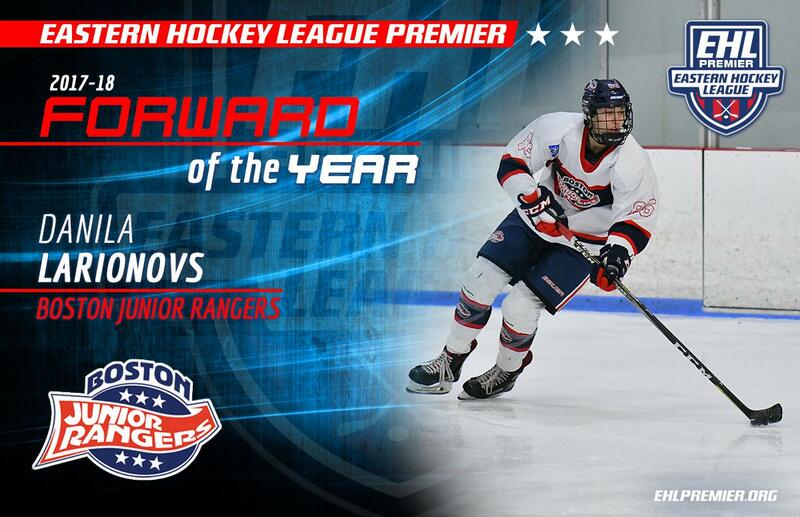 The Defenseman of the Year award and all other league honors, are voted on by the coaches in the EHLP. "Jake is a special player. He has a skill set that I feel would allow him to play even beyond the college level," said Revolution head coach Justin Grevious. "Jake has done a lot of growing as a player and as a young man this year. I'm extremely happy to see him be given this honor." Houk, or 'The Big Rig', as his teammates call him uses his size to his advantage both offensively and defensively. At 6'2, Houk knows how to create space to shoot and battles hard for every puck. Houk has a championship on his resume during his time with Philadelphia, and has developed strong expectations throughout his junior career. Houk will be leaned on heavily this weekend, as the Revolution take on the Philadelphia Jr. Flyers in the South Conference Finals. The 2nd place finisher for the DOY honor is William Veaudry (Central Penn Panthers) and 3rd place is Aidan Wright (Jersey Wildcats). Tomorrow, the EHLP will announce the 2018 Goaltender of the Year (GOY).